South Korea's national tax revenue continued to increase in the first eight months of this year on a modest recovery pace of Asia's fourth-largest economy, the finance ministry said Friday. The government collected 189.5 trillion won ($167.4 billion) in taxes in the January-August period, up 17.1 trillion won from the same period last year, according to the Ministry of Strategy and Finance. 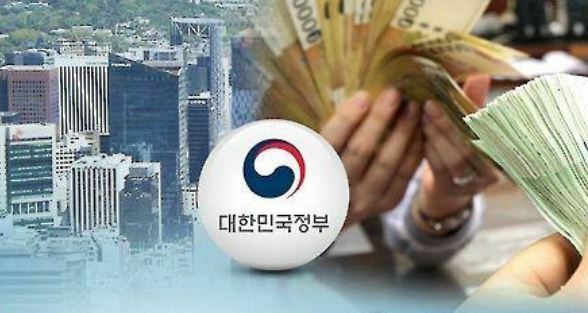 The amount collected is equal to 75.5 percent of this year's tax revenue target of 251.1 trillion won, including some 11 trillion won worth of a supplementary budget, which was approved by parliament two months ago. Revenue from value added tax rose 3 trillion won to 47.9 trillion won, and income tax revenue gained 5 trillion won to 51.7 trillion won, the latest report said. Corporate tax collection reached 45.7 trillion won, up 6 trillion won from a year earlier.